Your sciatic nerve is the largest nerve in your body. When this nerve is compromised, it can cause major physical problems. Sciatica does more than cause you pain — it often keeps you from your daily activities. 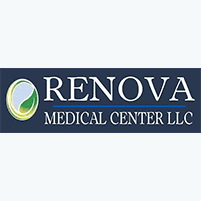 At Renova Medical Center we are highly trained in relieving sciatic pain and getting you back to doing what you love. If you’re in the Columbia, Missouri, area, call or book an appointment online. To better understand sciatica, it helps to step back and take a look at the cause of the problem — your sciatic nerve. This nerve is the single largest, and longest, in your body. Starting at the base of your spine, the sciatic nerve branches out and travels down the backs of both your legs. From there, the two nerves branch out further, sending smaller nerves down into your feet. In effect, your sciatic nerve acts like a neuron super highway for the lower half of your body. Sciatica most often originates where your nerve originates — in your low back. Your sciatic nerve has five roots that start in your lumbar and sacrum regions, and each of these roots is susceptible to interference, which leads to sciatica. We work tirelessly to regain your freedom of movement, often combining various therapies. To relieve your sciatic pain, call Renova Medical Center, or use the online booking tool to schedule an appointment.